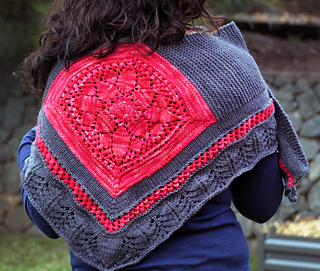 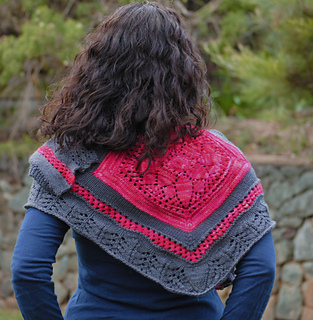 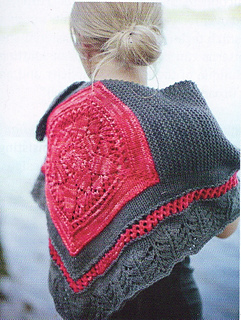 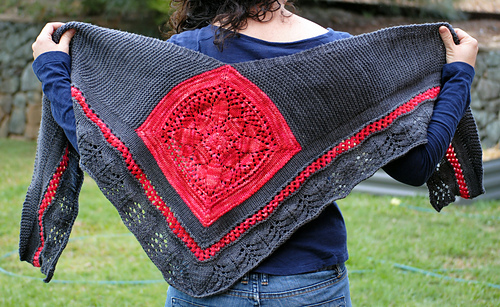 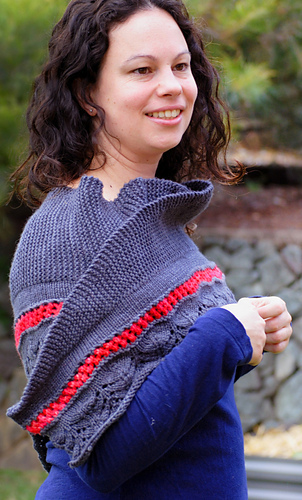 A beautiful shawl knit using worsted weight yarn in two contrasting colours. 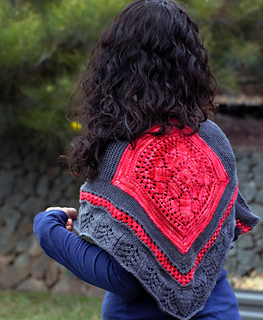 The shawl has unique construction, it is started with the centre motif which is worked in the round, two garter stitch ‘wings’ are then worked out from two sides of the motif in rows, stitches are then picked up along the bottom of the motif and the lace edging is worked. 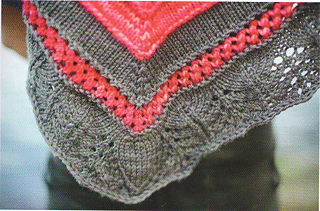 The motif and the edging are both presented in written and charted form.